In 1944, chemists at General Electric announced the invention of silicone, a sand-based product that could be used to make synthetic rubber and a host of other fascinating items. One derivative of this class of silicone was dubbed by them as “bouncing putty” as it could bounce like a ball when rolled up, stretch like taffy when pulled and if left to sit in one place would flatten out like a pancake. As interesting and amazing as it seemed, the scientists could not find any potential uses for it and basically tossed it aside and forgot about it for five years. As the saying goes, however, one man’s trash is another man’s treasure and for Peter Hodgson, the bouncing putty would become a goldmine. Hodgson, a 36 year old advertising copy writer from New Haven, Connecticut happened upon a sample of the substance and thought it made a great novelty item with marketing potential. Hodgson obtained legal rights to the name Silly Putty™, purchased $150.00 worth of the substance, placed one ounce pieces of it in plastic “egg” containers and began selling them through retail stores and chains. 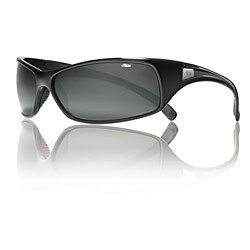 His efforts caught the eye of a writer for the New Yorker magazine who wrote an article about the product. This great publicity triggered an explosion in sales — by Christmas, Hodgson had sold more than one million units. Along with its aforementioned properties, Hodgson also discovered that the putty, when pressed against a newspaper, would “pick up” a copy of the print on its surface. Children across the country began pressing Silly Putty™ against pictures from the comic section and took the resulting copy and stretched it to make the images distorted and even more comical. After the government placed controls over silicone during the Korean War, Hodgson became a man without a product to sell. After starting from scratch a few years later, Hodgson rebuilt the business to a point where he would soon sell over $5 million worth each year. 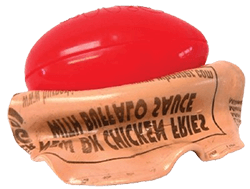 Silly Putty™ did not have a practical use when it was discovered and still does not, but it has certainly served to amuse adults and children for over 50 years.